Have you ever wondered why we are here? Why we do the things we do? What compels us to do or say the things we do? Is it something inside us? Do we actually have a choice in what we say or do? Well, yes we do. 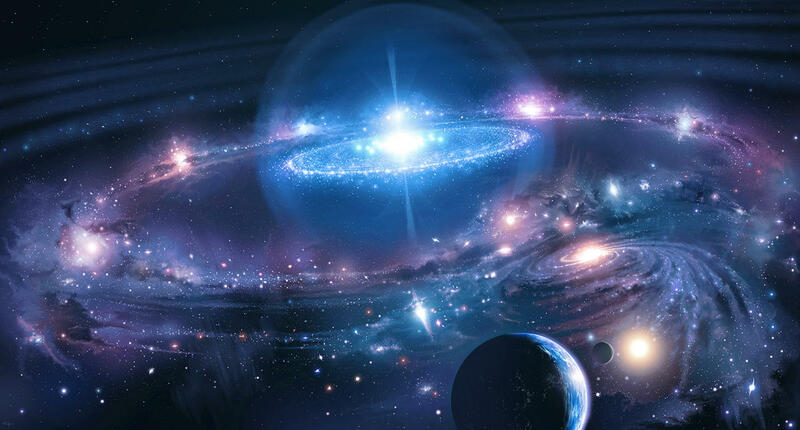 Each time we come to a choice though opens up a multitude of other universes. Each choice with a yes or a no has a consequence in it that will affect everything you do in your life. Each decision creates a branch where the possibilities play out. Do you turn left or do you turn right? Does that decision open a universe? When you turn left, do you carry on or do you stop for a break? Does another universe open? Each one of these plays out instantly in our heads. It is calculated so fast and our brain decides on which “universe” it is willing to take. So does that mean that everything we do, is a choice based on what our mind has seen? Of course, this is not really what happens. Each decision we make doesn’t open new worlds to go and to explore. That is just in Science Fiction. The reason we decide on what we do, is so that we can go through life, meandering along a preset path to our destiny that is the end of our journey. It is true that each decision we make, WILL affect what we do in our lives, but there are some points that are set in stone. These points are the ones that have a major effect, not only on you, but on people around you. Possibly everybody in the world. In my life, for example. I was in the same place as my ex-wife four times before I met her and we connected. Each of those were a choice – except the last one. That was set in stone. I met her and we got married. The marriage was not a set in stone marker. That was a choice. Conception of my children were set in stone. Because of this, it has affected possibly everybody in the world. My son is born, I talk to someone about this, they talk to someone about it, his name is mentioned, then mentioned to someone else and it goes on. Because it is set in stone. These decisions are out of our control. Falling in love … that is set in stone. You could fall in love with someone who you will never be with. Why? To prove that you can be loved. To open your heart. Do you have a bagel or nacho? A meandering decision. Unless one has a razor blade in it, then it is not going to be life altering. So, what I am trying to say is, that although we can make any decision we want to, not all of them are a decision. Some of them are out of our hands. We each have a destiny that we have to fulfil before checking out. For some people it is to create life. For others, it is to give life. Others are for the evolution of the human race. Make each choice as if it were not set in stone. Make decisions based on what you want to do. You don’t which of these are set in stone. You won’t for many years. Possibly ever. If you send clothes to a third world country, you could just be sending something that will be dropped and discarded. Normal decision. Or you could be sending something that is given to someone. That saves the person’s life, they go on to have a family and the child becomes a geneticist who works out the bubonic plague is actually a man made cheese and ham pasty. That is a stone decision.